Only those who are willing to struggle against the status quo ever change it. To be radical, at its core, means to get to the heart of an issue. Aspirational means a hope that is sought, hopefully one worthy of achievement. Black history month here in the U.S. inexorably leads us to ponder the words, deeds, and examples of the Dr. Martin Luther King, Jr. That black Baptist preacher didn’t use bullets, he used the power of inspirational ideals, organization, and words. It bears mention that King was by all accounts a flawed person, but nevertheless one who helped change this nation for the better. He is a fitting reminder of many principles. One must be willing to overlook certain weaknesses that each of us has, if we are to discover the good that each of us has to offer. Which brings us to back to radical solutions and first principles. Radical and Radix are both Latin in origin, and their meaning includes the notion of getting to the root, origin, or the heart of an issue. In the 7 Habits or Highly Successful People, Dr. Stephen Covey, did something that Dr. King also did. Covey was Mormon, but he like King cited the work of the Catholic thinker, Thomas Aquinas, one of the great minds from the misunderstood Middle Ages. One must return to first principles if one is to find common ground, and solutions to often vexing problems. Why reinvent the wheel, when the solutions should be obvious? First principles are excellent, cool and they are practical – they work. Ignore first principles at your own peril. Covey said that one must seek first to understand, then to be understood. Understanding implies to be under something in order to grasp it more fully. The mechanic under the car understands it better than the person who merely drives it but doesn’t understand the many intricate working parts. That service writer at a car repair shop is a communicator, a negotiator. But does he understand that car the way the mechanic does? In most cases, no. But each role is necessary, that is why they both exist. Social media is popular because we each want to be heard and understood. We don’t want a mere 15 minutes or fame, we want a life that is appreciated. But all too often posturing messes up clarity of understanding. 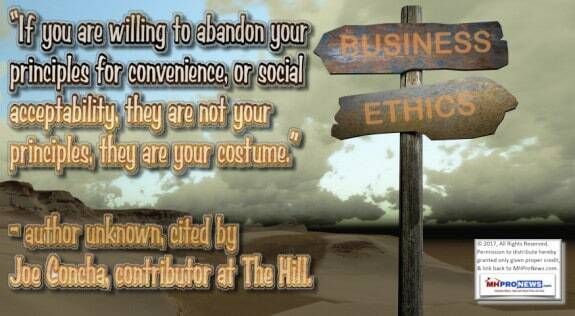 Is something that a person claims really who they are, or is it a mere costume meant to fool others? With the above in mind, let’s turn to justice of all kinds, affordable housing, public policy, and manufactured homes. In an era when tolerance is preached, but not really understood or practiced – save most commonly as a cudgel – one ought to get to the radical heart of each and every issue. The Green New Deal, for instance, is useful because it boldly states what their own followers claim to believe. Examine that proposal, and you begin to see that socialism and the extremes of the environmental movement are cousins. Yet conservation – a root meaning of the word, conservative – is good. One should seek to conserve or save the good, and using the principle of wheat and chaff, ignore or toss the rest. Socialism is sold on the premise of taking from others so that someone else can have. That’s also called a redistribution of wealth. That requires governmental power. So at its core, socialism is a dictatorial system, not a Democratic or a Republican one. Here we don’t mean those 2 party labels, but the principles that those respective party names are supposed to stand for in the first place. Carefully examined, socialism can’t work in practice. Nor has it every worked in practice. It is contrary to the human work ethic. If you or I honestly earned X, but someone else can just take part or all of X ‘for free,’ then what protects the incentive for honest work? My parents, who grew up in the shadow of the Soviet Union, would remind us kids that on Russia’s socialistic collective farms, the small plot of land that the farmers were allowed to keep the produce from was the most productive by far. Of course, that’s human nature. Law and social media are in a sense both neutral. But in fact, much of each have been weaponized in recent years. Law is necessary. Social media, kept as free as possible from manipulation and what amounts to mega-corporate spying, is useful. But once potentially good things are tainted, often only radical solutions are the only solution. Dr. King did compromise on some items, but he did not begin with compromise. The savvy negotiator at some point asks for all that is still just. That need not be the initial ask. The Rev. King pushed for a wide agenda, as well as for maximum justice, in order to get real reform accomplished. He brought many together, but that also meant that divisions occurred too. He was controversial. King was revered by some, feared and despised by others. C’est la vie. At the heart of King’s work was religious and morally founded teachings and beliefs. Dr. Alveda King, his niece, has noted the same, and applies that principle herself in her contemporary work. Martin Luther King, Jr’s opponents wanted to demonize him and his work. It’s an ancient trick. King’s opponents spied on him. They learned of his human weaknesses. They wanted to turn those weaknesses into the issue, in order to destroy the chance for King to accomplish his end goal. That goal ML King had was for a more just society. Dr. ML King didn’t ask for reparations for slavery. King didn’t want socialism. He wanted equality, and for him character counted more than skin color. Rephrased, King wanted biblical principles applied. Who can better answer that question than God who created all? My 12 year old son can simply explain why we can know with confidence that a Creator of all exists. Historically, we know that the oldest faith is the Jewish faith, and from that religion sprang others like Christianity or later still, Islam. All three of those faiths claim historical roots to God through Divine revelations made to the person of Abraham. What does this have to do with housing, justice, or public policy? Ask the founding fathers, and they would tell you, it has everything to do with it, because housing is private property. For the founders, faith and a just society were inseparable. 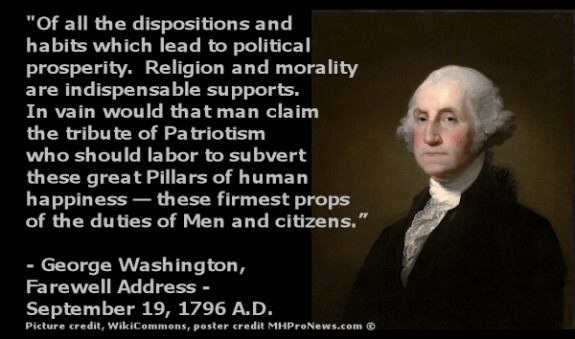 The founders weren’t perfect either, but their genius was a clearer sense of history, morality, God and reason. King did not disparage the founders of America. Slavery has sadly long existed for thousands of years, and still does in many parts of the modern world. Slavery today has merely changed its name and forms. King viewed the founders as aspirational, inspirational, and saw that they began a work toward freedom that he and his colleagues wanted to complete. The battle today isn’t a false choice between capitalism and socialism. Both, properly understood, are problematic. On this Masthead blog – the editorial platform for MHProNews – we believe in free enterprise, because God did so first. Free enterprise is in a cool sense ‘pure capitalism,’ not tainted crony capitalism, conquest capitalism, vulture capitalism, or monopolistic capitalism. The later – once understood – are to be strongly rejected. Look again at God’s simple-yet-profound Ten Commandments, because the founders did, and so did Booker T Washington, Abraham Lincoln, or ML King – among millions of others. All good Law should be based upon those ten principles. That’s simple, radical, and it is always what’s right. No one knows humanity better than our Designer and Creator. Those 10 exist not as constraints, but as principles of love that bind all together in a just society of peace. Moses elaborated to an extent in explaining how those Ten Commandments were to be lived out. Centuries later, the Jewish rabbi Jesus took the ten, and simplified them to just two. Love God, love your neighbor. ML King said love alone conquers hate. Love is not mere passion or emotion. Love wills the good of the other. So love embraces pure passion, but true love isn’t about mere self-gratification. Love doesn’t mean you must like the other. They are distinctive principles. There are those in public service and in the mega-corporate world – as opposed to small-to-mid-sized businesses and professionals – that want to impose their will on others. They may not call it slavery, but that is what control is ultimately about. Those who can’t accept honest dissent and debate are at some subtle level, dictatorial and self-absorbed too. Good law wills the good of all, not only the good of a select and favored few. Today, monopolistic forces are at work in business, and in government. That is routinely true of government at all levels, not only the federal one. Those who won’t read the New York Times – only because it is the NY Times – are as prone to missing the truth as those who won’t consider what’s on Fox News, just because it is on Fox. The New York Times carried a thoughtful column that explained how numbers of industries are being monopolized. That column by David Leonhardt didn’t mention manufactured housing, but monopolization is occurring in manufactured housing too. Arguably the primary one doing so has shrunk the industry, in order to increase his firm’s market share at a discount. Those who monopolize are power seekers. It is noteworthy that those monopolists who build their “Moat” violate the Ten Commandments on several levels, which are not the focus of this column. Some of those uber-billionaires are happy to promote socialists. Why? Not because they want to give away their own wealth, because if billionaires wanted to do that, they could do so at any time without government intervention. Rather, socialist promises of the ‘give away’ of ‘free stuff’ taken by ‘progressive taxation’ or ‘redistribution of wealth’ are mere masks. They are the ultimate con game. Just ask the starving and suffering Venezuelans of today. Or the Russian who bought that same lie in the pre-Soviet Union. Ask the Chinese who bought the lies spread by Mao. Or ask the Cubans who bought the lies of Fidel Castro and his cronies. Or ask the Germans who bought that lie from Adolf Hitler. Never forget that the fascists of Italy and the Nazis were just different nationalistic brands of socialism. The name Nazi was a contraction – National Socialists. Note that none of the above were faith-filled people seeking to live out the 10 Commandments, rather, they were power-hungry people. The loss of private property, a kind of slavery, police states, and death were the results of each of those experiments in socialism and communism. The report linked below from the text/image box that follows demonstrates university level research into those movements. Their wars and murder of their own people make the conflicts over religion seem like a picnic. Hundreds of millions of souls died at the hands of those who practiced various branches of socialistic thinking. So, when the uber-rich posture supporting some candidate for president – or any other elected office – that claims to want to implement socialism, don’t buy what they are selling. Every con promises something that someone wants. Every seduction begins with the promise of pleasure, but that fleeting feeling often quickly yields to pain for the many harmed once seduced. Socialism is often voted in, but it has also often required armed conflict to have it removed. 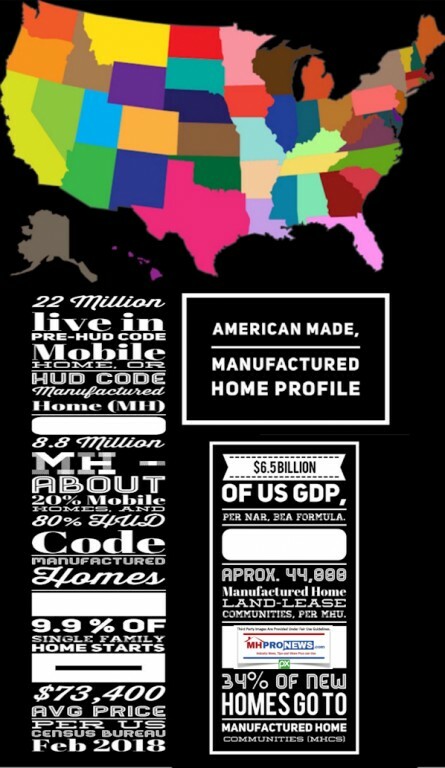 In manufactured housing, there are some who are aware of the monopolization of the industry. Some are aware of the harm that moat-building has caused to the proper understanding of manufactured housing, and how it can help solve the affordable housing crisis. But some smaller-to-midsized players are not necessarily fighting the dominate ones who are building their moats. Why? There are many reasons. But one of them can be summed up like this. They too want to benefit from the work of the moat-builders. The rest are details and commentary. What all those who get it but have not yet acted fail to consider are painful lessons of history, which Warren Buffett – a self-proclaimed student of history himself – has observed. In Communist Cuba, Russia, China, or in Nazi Germany, some who stood by or who aided those who sought to take power themselves were later ousted, stripped of their property, and in numerous cases, killed. Play with fire, and you may get burned. You don’t have to understand his every tweet or agree with his methods. But let’s give President Donald J. Trump his due. He was right in saying that socialism is about power. Socialism depends on what Hitler and his propaganda minister called the notion of the Big Lie. Repeat a lie often enough, said Hitler, and numbers of people will come to believe it. The best antidote to a lie is the truth. That’s why at its core, much of what is vexing America is a struggle between lies often told, or truth that is at times ignored or suppressed, vs. the pure truth of any given subject. The best argument, it’s been said, against Christianity (or any other religion) are the believers of that faith. We are all hypocrites to some degree. Dr. King was a womanizer, and his enemies wanted to use that against him. To that point and others – much like you, me, or anyone else – there are times that we fail or are hypocritical. But the inspiration of God is that eternal call from the fall back up toward redemption. In affordable housing, public policies have caused or contributed to the problems that exist. Barring people from owning manufactured homes – especially given how proven they are to serve millions well – is just one of many examples of the broader issues that plague our great nation. Yes, America is a great nation, not because it is perfect. We are not yet under the tyranny of socialism. Our American ancestors fought to end slavery. We fought to establish greater civil rights. We fought to end the tyranny of the Nazis, and so much more. We Americans – a melting pot – arguably ought to fight to end the monopolization of our society by the FAANG brands, or Berkshire Hathaway, and Microsoft. We ought to #DeFaangBM. We ought to break up the monopolies, as the conservationist president Teddy Roosevelt did. Because in the end, the moat-building monopolists are the hidden-in-plain-sight drivers of much of the social, economic, and political ills that our times endures. That’s not to say that others besides the FAANGs or BM shouldn’t be broken up – legally – under antitrust laws. There are no doubt more that should be considered for a break up under anti-monopoly laws too. At the root of it all is the problem of sin – a violation of those Ten Commandments. That’s old fashioned, which is why it should be more trusted. Everything else will fail, but following those 10 principles as faithfully as one can would lead us to a more just world. 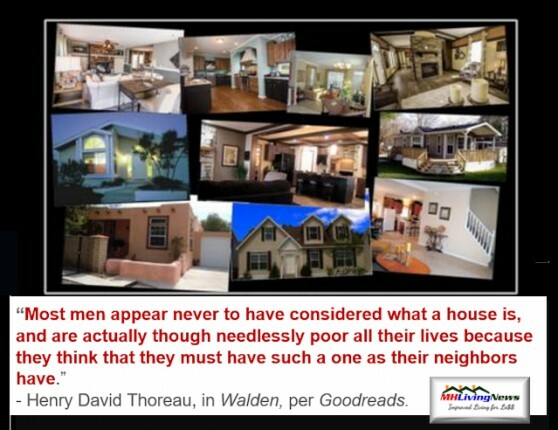 In that more just world, we would not try to stop someone from having an affordable, safe home. In a just world, we would not stop someone from peacefully practicing their beliefs, or even allowing them to proclaim it in non-violent ways. There is truth and there are falsehoods. There is protecting the rights to private property, which was part of our founding, and which Martin Luther King, Jr. wanted for his fellow humans of all colors. There are rights to religious liberty, and all of those goods that the Bill of Rights established under our system of constitutionally limited government. Protecting individual rights is what is at the heart of the American Way. Breaking up monopolists has long been a part of our American legal tradition. That’s the struggle. Freedom vs slavery. Justice vs. injustice. 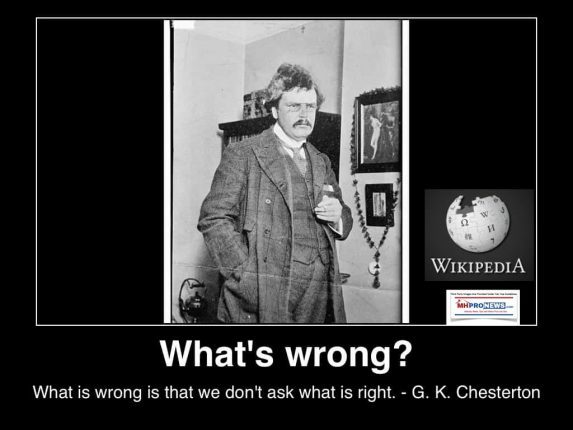 Right vs. wrong. God’s way vs. the way of those who oppose what is Godly. In that context, we support the struggle for manufactured homes, and all other rights that are in keeping with the will of the God who created us. I asked my 12 year old son, before finishing this article, how can we know that God exists? Many doubt or deny God exists. He smiled and said, “Which came first, the chicken or the egg?” And, “Which came first, the acorn or the oak tree?” Simple. God created the chicken, who laid eggs, said my son, Tamas (sounds like “tah mash,” Hungarian for Thomas or Tom). God created the oak tree, which drops its acorns to reproduce.